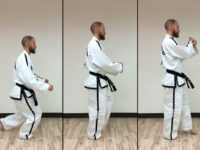 The outward knife-hand strike is a pretty simple technique, really. 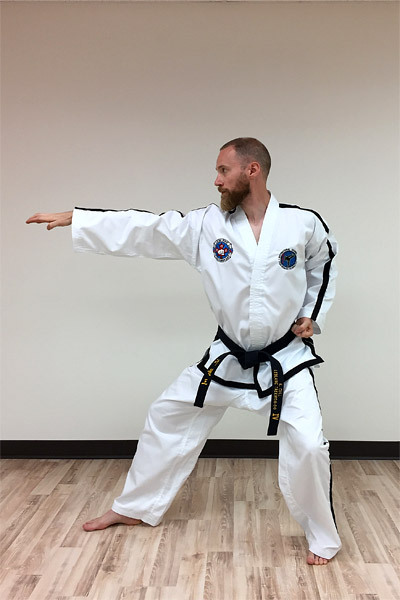 It’s your basic martial arts “chop” to the side. You can use an outward knife-hand to target the middle or high sections (the body or the head). 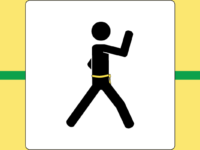 It’s usually performed in sitting stance, close stance, L-stance or X-stance, but one-leg, vertical, diagonal and walking stances can be used as well. Prepare for the strike by crossing your hands with the backs of your wrists together and the striking hand on top. Your hands should cross on the opposite side of your body from the strike at about chest line. 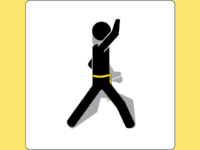 For example, if you were striking with your right hand, you would cross in front of your left chest. Make sure to extend your hands nice and far away from your body with a relaxed bend in your elbows. Prepare at about chest line on the opposite side from the strike. Keep a relaxed bend in your elbows, but don’t bring your hands too close to your body. Remember to prepare at the same height that the strike will finish at. For a middle strike, prepare and finish at shoulder height. For a high strike, prepare and finish at eye height. You want your strike to travel on as flat a plane as possible. 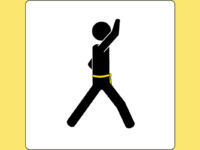 Start with your hands in relaxed fists and keep the palm of your striking hand nearly face up (toward the ceiling) until the end. Rotate your hand at the last instant. Relax your body (especially your arm) until you reach the focal point of the strike, then add a big *SNAP* of power and relax again. It’s almost like cracking a whip. 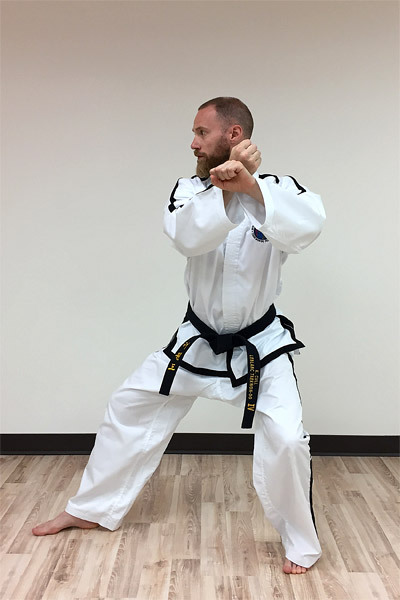 As with most techniques, your reaction hand starts face down, and pulls back to your hip in a fist while turning face up at the last instant. It should follow in time with your strike. For a middle strike, finish at shoulder height. Your knife-hand shouldn’t pass the vertical plane of your shoulder. Make sure to form a proper knife-hand. Your attacking tool (your knife-hand) should form a straight line with the centre of your shoulder. Make sure not to extend it past your shoulder or stop it in front. 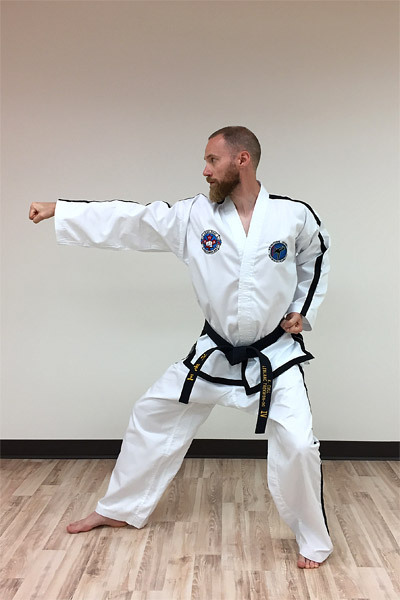 Bonus technique: all of the same principles apply when attacking with an outward side fist strike. You just curl your hand into a fist and strike with the side fist instead of using the knife-hand. All the same tips apply for outward side fist strike. See? I told you: simple.